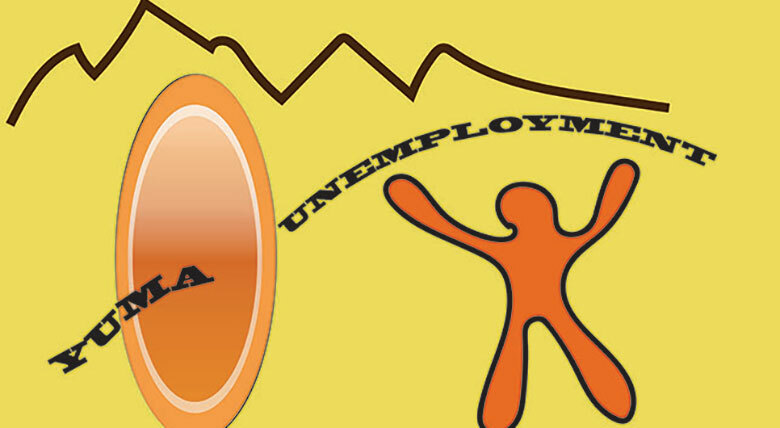 Yuma’s unemployment rate is the highest in the country, and double that of almost every other city besides El Centro, Cal., with which Yuma competes for that dubious distinction. Our rate (17 percent) is even higher than Iraq’s (16 percent). Unemployment is especially grueling for the students of Arizona Western College. The college has programs to give jobs to students, but only a few of them. The problem has many causes – for example, too heavy a focus on agriculture, many undocumented immigrants and the lack of a well-educated population (only 17 percent have bachelor’s degrees) – all very common symptoms along the U.S.-Mexico border. While agribusiness helps, it makes up only 11 percent of the job force in Yuma, and even then it is seasonal. So is the tourism sector, which grows and shrinks along with the winter-visitor population. Businesses move here only rarely and, when a job does open up, it is immediately swarmed by dozens of desperate people. These jobs also have requirements, such as prior experience in that field. But how is someone to have experience in, say, retail if they can’t get a job at retail? Many times, an applicant needs to be bilingual. College students I have met lament that they do not have the money to afford basic living expenses such as food or transportation. Some give their financial aid money to their parents, so they can pay for food and rent. Many AWC graduates immediately leave for San Diego or Pheonix or Texas, only returning to Yuma when they retire. Can this chronic problem be fixed? Maybe we could attract more business, lean away from agriculture, attract more bachelor degreed graduates. But who would want to live in a place that has no job opportunities but that is only three hours from bigger cities with better career paths. Yuma grows every year, yet the jobs do not. Yuma is trapped in a purgatory of its own design.